A little more than a week after Wiz Khalifa’s “See You Again” became the most-viewed video on YouTube (somehow dethroning previous champion “Gangnam Style”), another contender for the YouTube throne has also become the most-streamed song of all time. 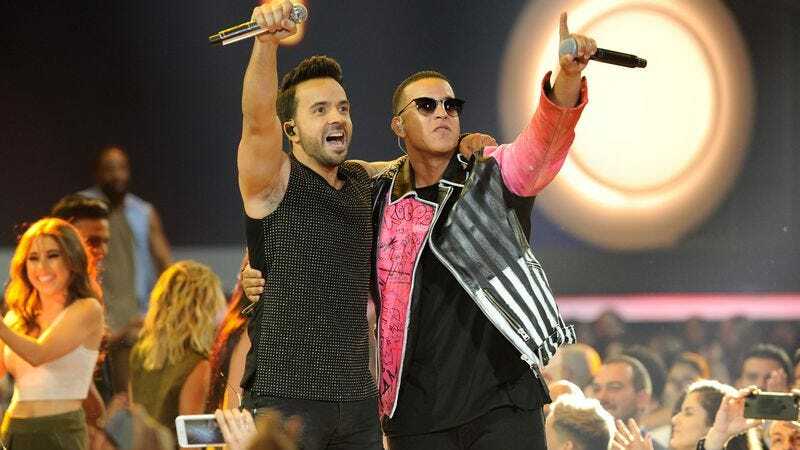 According to the BBC, Luis Fonsi and Daddy Yankee’s “Despacito” has been streamed 4.6 billion times since being released in January, pulling ahead of the 4.38 billion streams that Justin Bieber’s “Sorry” has racked up and the comparatively pitiful 4.07 billion streams of Ed Sheeran’s “Shape Of You.” Also, for the record, “Despacito” is in third place on the YouTube charts, so it might just be a matter of time before it takes that record as well. Streaming is a connector for audiences worldwide and it has helped my music reach every corner of the planet. It is truly an honor that “Despacito” is now the most streamed song in history.